High quality 24LEDS, Bright enough, Waterproof, Lightweight easy to carry or hanging for Indoor illumination and Outdoor activities. Built-in rechargeable lithium batteries and with 2 USB ports, could be used as a battery charge for mobile devices. .
1.Dismounting at will may cause the unnecessary damage of the light. 2.Please use the original charger. 3.Please at least charge the light for ten hours once a month if you left the light idly. 4.Although it's waterproof, please don't left it in rain in a longtime. 5.Please don't charge the light for over 24 hours. 15W 24LED super bright LED work lights, small but bright enough. Built in high quality rechargeable lithium battery and with 2 USB output ports to charge your digital devices. 360° and 90° Rotating, waterproof durable outdoor spotlights to meet more requirements. 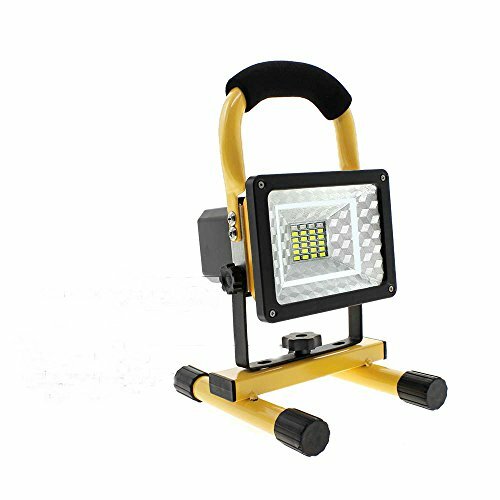 With 4pcs magnetic base, easy to carry or put for great job site work lighting/Camping/Fishing/Night Driving/Car Repair/back-up for power cut. If you have any questions about this product by Berinfly, contact us by completing and submitting the form below. If you are looking for a specif part number, please include it with your message.